Christmas is coming and there always some family members who are either tricky to buy for, or you want to go that "extra mile" and get something a little bit personal, something that will make their eyes light up when the gift is unwrapped. I was pondering what we should get some specific family members, when the opportunity to trial and review some personalised gifts from Instajunction.com arose. Elegant and simple, three classic framed prints offer a stylish way to exhibit your favourite pictures. Hand made 12″ x 12″ black wooden frames around a premium mount to display pictures in all their glory. Printed on premium gloss card, acrylic glass adds the finishing touch. 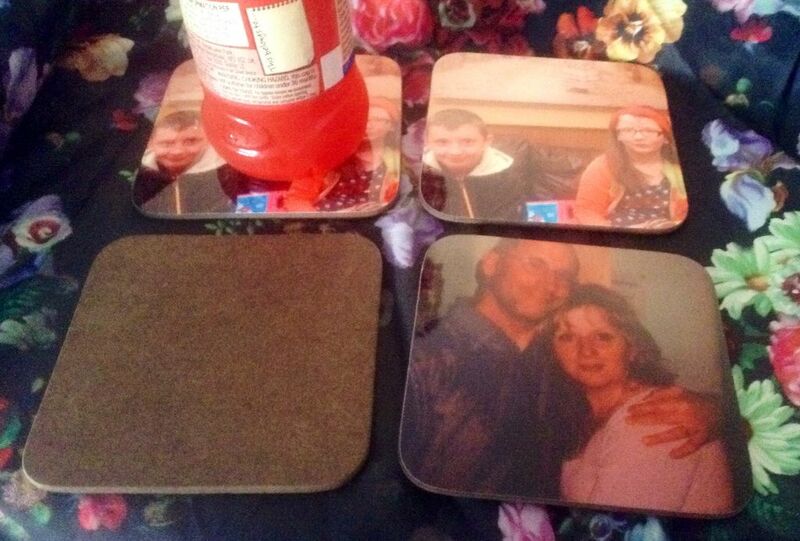 Personalised coasters. The instructions were very simple to follow, the chosen images are uploaded from your Instagram account, there is the option to crop to suit and then checkout is super easy and secure. My order arrived within a week and they’re wipe-clean, with a cork backing. Perfect for the recepients I have in mind. and can be used multiple times, not just the once. 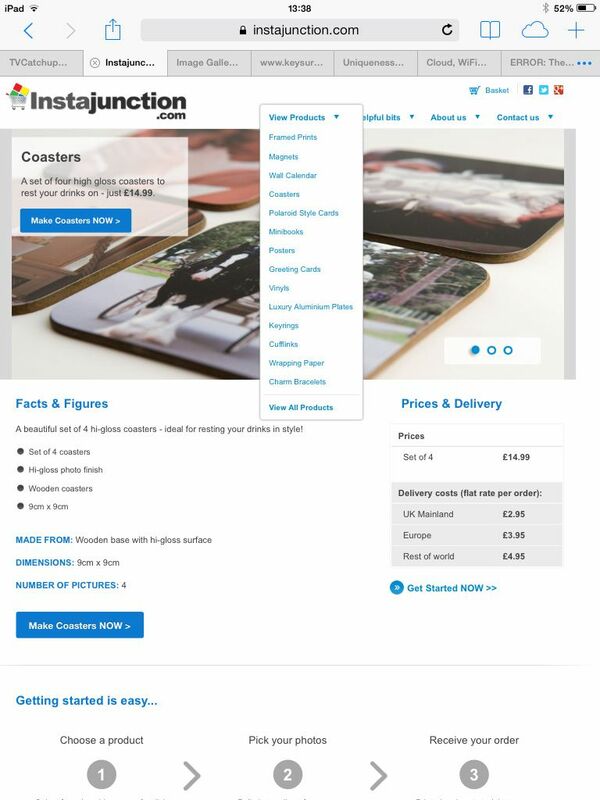 As you will see from the screen grab below, there are plenty of products to choose from and personalise and more options have been added since I placed my order. I particularly like the idea of a charm bracelet personalised with favourite photos. For more gift ideas, please visit http://www.instajunction.com and don’t forget to use the code to receive 25% off any orders. Disclaimer: I was sent a voucher code for the purposes of this review, my words and views are my own.